Since starting with Pacific Doors as an apprentice joiner in 2005, Mike has excelled in each position that he has been responsible for. These roles include time spent as a joiner and foreman in the factory before becoming part of the management team of the company as the Production Manager overseeing all aspects of production across Pacific Doors two factories. Mike moved into the role of General Manager in 2014 and since then has overseen the day to day running of the business as a whole, and to ensure that our offering matches what the market requires. During this time Pacific Doors has continued to grow as an industry leader by developing new and improved products, improving customer experience, looking at new and efficient manufacturing techniques and investing in state of the art machinery. 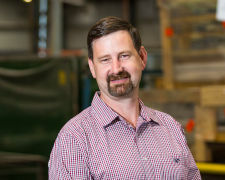 As a proud family run business, it is with a great deal of satisfaction that Mike has risen to the position of Managing Director and is now focused on ensuring Pacific Doors continues to improve as a world class bespoke manufacturer that offers its customers a user friendly system, and its staff an enjoyable place to work. 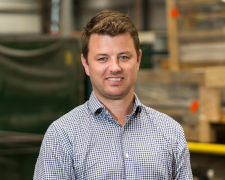 Jeremy moved into the construction industry 10 2010 after spending the previous 10 years working in large corporates, both in NZ and internationally, in finance and marketing roles. Jeremy has a Bachelor of Commerce and Administration from Victoria University after graduating in 2004. 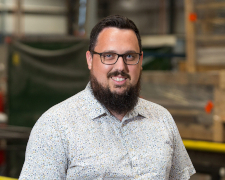 As the Commercial Manager, Jeremy manages Pacific Doors team of Estimators to ensure that the quality of our quotes and tenders is at the highest standard both from a competitive, compliance and presentation point of view. Jeremy is also charged with getting out and about amongst the construction industry to build and maintain the relationships we have with our clients. Jeremy’s experience working in large corporate environments has helped to streamline some of our ‘back of house’ activities to ensure that we are able to concentrate more on our clients. Feel free to contact Jeremy if you require anything to do with sales, product development or client relationships. With an Advanced Trade Certificate in Furniture Making and many years working hands on and in management roles in furniture and joinery firms – both on site and in the factory, Graeme has over 25 years in the building and construction industry. Graeme joined Pacific Doors in 2005 as the Contracts Manager and very quickly became a go-to-man for our onsite clients looking for advice in regards to installation, trouble shooting and design issues. Having been with Pacific Doors for over 10 years and spending time in many aspects of the business, Graeme has an indepth knowledge of our products. Graemes current role as Specification and Design Manager is aimed at using this experience to best assist our clients and in particular aid designers with their specification requirements. With 30 years’ experience in construction in Christchurch, Sydney, and Wellington, Stacey brings a wide range of industry experience to the role of Chief Estimator at Pacific Doors Limited in Seaview, Wellington. Most of her career has been in the estimating discipline, and as a project quantity surveyor for main contractors. Stacey is also passionate about improving New Zealand’s safety record, and is active in improving workplace safety performance. Stacey is a qualified Quantity Surveyor and a 30 year member of NZIQS, where she has served on the National Marketing Committee. In 1997 she was awarded the NZIQS President’s citation for her initiative as co-founder of the New Zealand chapter of the National Association of Women in Construction (NAWIC). Stacey is an avid Wellingtonian who is proud to have been involved in the construction of Wellington landmarks including Te Papa, the Stadium and the Regional Hospital, as well as working on many smaller fit outs and refurbishments. Well known across the sector, she has an ability to integrate consultants, clients, project teams and contractors - for short term problem solving as well as long term strategic partnering with commercial opportunities. 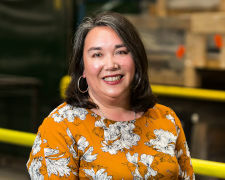 Encouraging women to join and stay in the construction industry is important to Stacey and in 1996 with two others she set up NAWIC in Wellington. She has taken considerable enjoyment and satisfaction from watching NAWIC flourish into a highly regarded organisation that quietly gets on with promoting the success of women in construction. 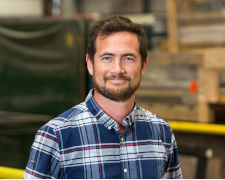 Prior to working for Pacific Doors Mike completed a Bachelor of Commerce and Administration at Victoria University in 2004 and then had 9 years’ experience working in the construction industry. Since starting with Pacific Doors in March 2014 Mike has worked on numerous projects with products supplied ranging from a standard interior to high end fire/acoustic/security doorsets. Mike’s role at Pacific Doors is to lead our team of contract co-ordinators and to ensure we understand our client’s needs in terms of programme and product details. As many of our products have performance requirements e.g. fire and acoustic we are also responsible for ensuring the product supplied meets all compliance requirements. Mike and his team are always available to answer your queries/questions whether its project based or a general query so please feel free to contact us.